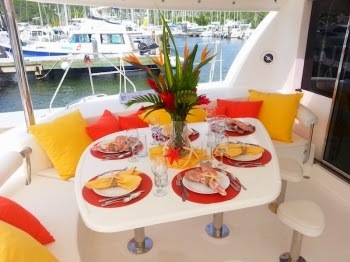 Charter Yacht Drumbeat Open for New Years! 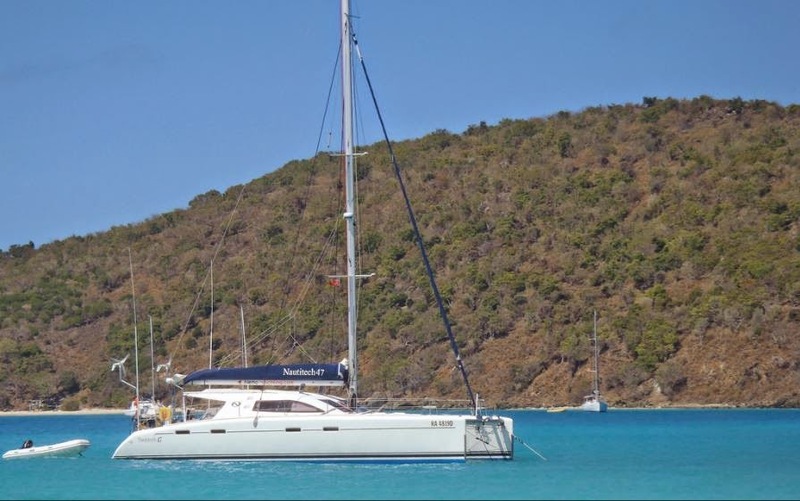 We would like to welcome back Genesis, a 50-foot Voyage catamaran, into the crewed Caribbean yacht charter fleet. Genesis is fully air conditioned and accommodates up to 8 guests in 4 cabins, each with Queen berths and ensuite head/shower. Genesis has a 15-foot dinghy with 40HP motor. Watertoys and amenities include a tube, 2 standup paddleboards (SUPs), large inflatable "floating island" to lounge in the water with other members of your group, snorkel gear, fishing equipment, hammock, beach games, floating mats, TV/DVD in salon, iPod dock, onboard wifi where internet is available, etc. Genesis is currently available for BOTH Christmas and New Years charters. There is a hold for New Years but, as it is not yet a confirmed booking, we can challenge the other party for the dates. 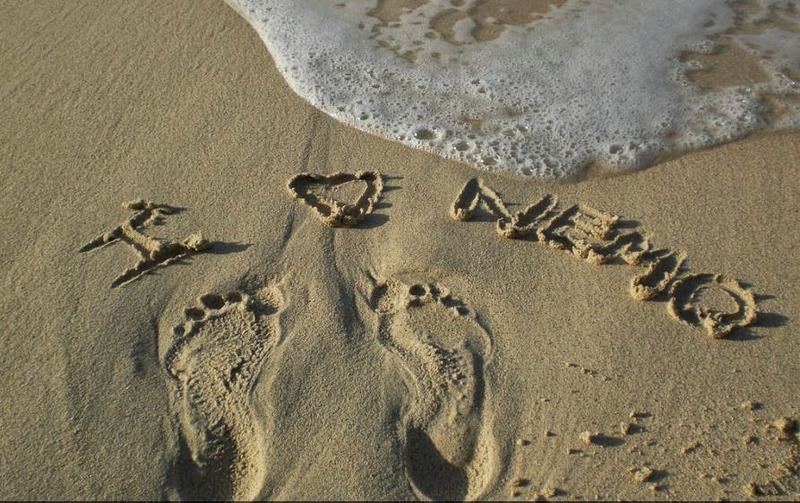 as they are new in the fleet, Genesis is open for March (Spring Break month) and Easter! 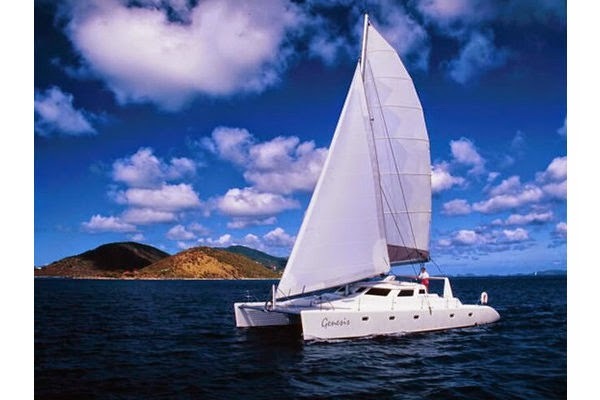 We would like to welcome the catamaran STARFISH into the Caribbean yacht charter fleet. 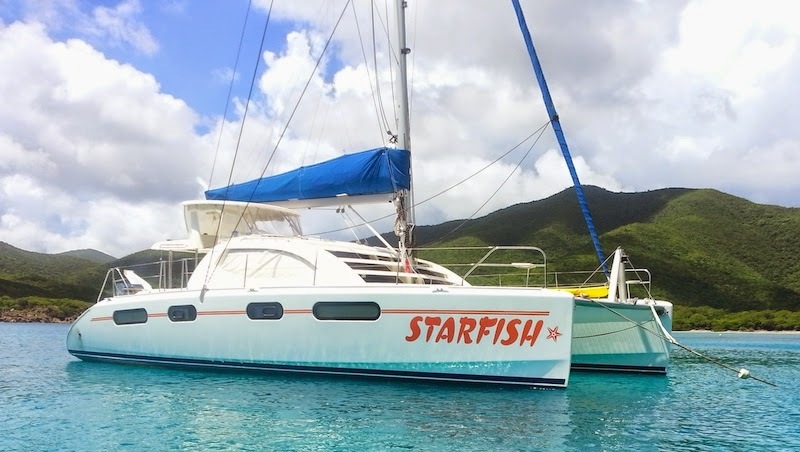 The 46-foot charter catamaran Starfish is a 2008 Leopard 4600 with an owner-operator crew. 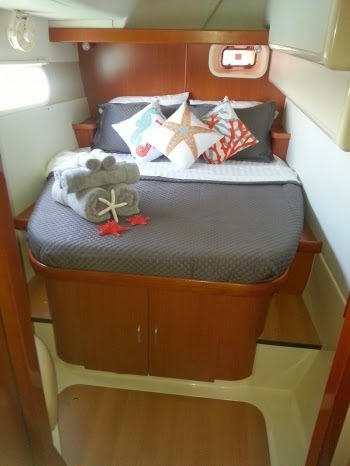 Starfish accommodates up to 6 guests in 3 cabins, each with Queen berths and ensuite head/shower. Starfish has a 12-foot dinghy with 15HP motor, tube, kayak, two inflatable standup paddleboards (SUPs), snorkel gear, noodles, floating mats, beach games, TV/DVD in salon, iPod dock, hammock, fishing equipment, wifi where available, etc. Sam and Jen have been married for over 25 years. They have lived aboard boats for a number of those years with their daughters and thus would be an excellent choice for family charters. From her years of living aboard and sailing the world with her family, Jen has acquired her own style of yacht cuisine that incorporates fresh local ingredients from land and sea and flavors of the islands that she has visited. She delights in introducing guests to unique Caribbean flavors in her menus. 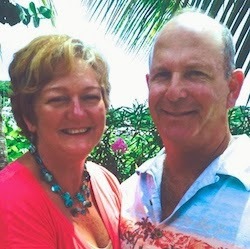 Sam & Jen Jen look forward to welcoming you aboard Starfish and sharing the island lifestyle. Enjoy feeling relaxed, well cared for and comfortable while you are guided to some of the most exotic and beautiful islands in the world. 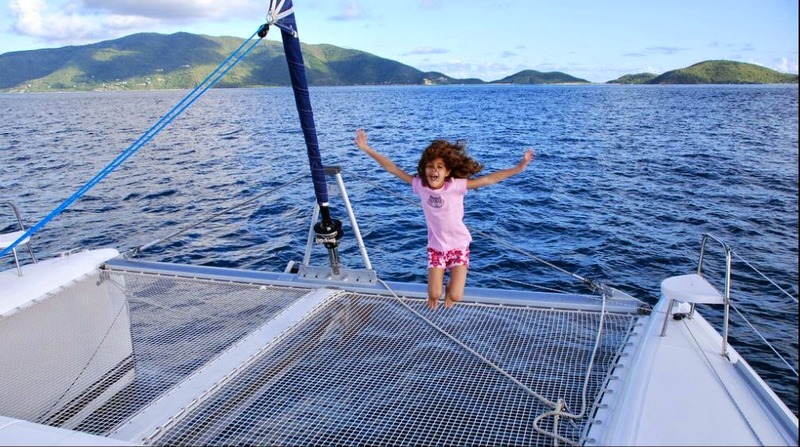 Book a 2014 Thanksgiving week charter aboard the catamaran NEMO and receive a complimentary helicopter tour of the British Virgin Islands. Thanksgiving Day (US) is the fourth Thursday of November and it falls on November 27th this year. SPECIAL OFFER: The charter yacht NEMO, a 47-foot Nautitech catamaran, is offering a complimentary helicopter tour of the BVIs for their guests chartering over Thanksgiving week. 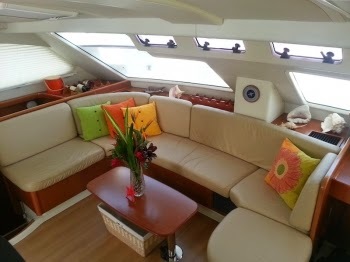 Enjoy sailing and great food with Valentina and Andrea on Nemo. Amenities include: a 12-foot dinghy with 15HP 4-stroke motor, tube, two-person kayak, standup paddleboard (SUP), snorkel gear, TV/DVD in salon, iPod dock, hammock, trolling fishing gear, etc.